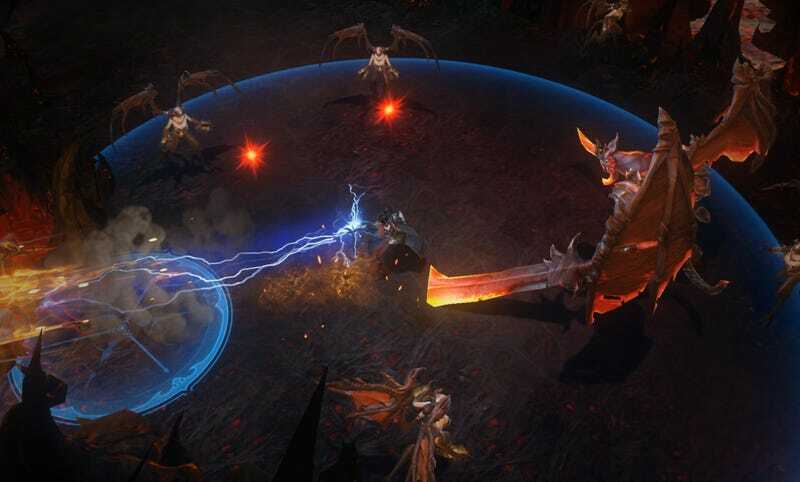 After a brief tutorial hosted by the one and only Deckard Cain, the 15-minute multiplayer demo took place across two main environments: a dank, dreary swamp and a ruined cathedral that culminated in a boss fight. Both areas were pretty linear, likely for the purpose of funnelling BlizzCon attendees straight into the action. The demo’s loot system was also a big step down from those of traditional Diablo games. Loot dropped, and I could equip it with a quick press of a pop-up button without leaving the action. However, doing so did not visually alter my character, and it only contributed to basic attack/defence stats. There was an inventory screen, but it was locked for the purposes of the demo. The good news is, some of this is subject to change. 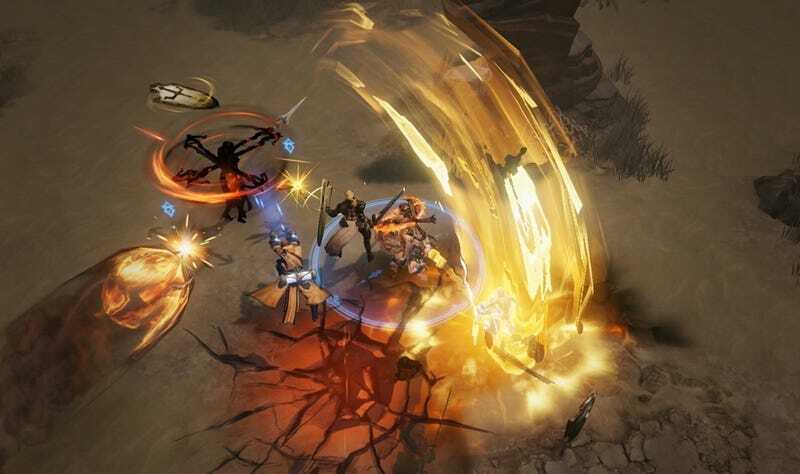 In an email, principal designer Wyatt Cheng explained to Kotaku that characters will be limited to five skills (including their main attack) at any given moment, but you’ll be able to select them from a group of 12 per class that will unlock “slowly over time.” That’s still down from the number of abilities each class got in Diablo III, but some customisation is better than none.